Just 10 minutes from Manhattan by Ferry! New York City is surrounded by water. The only way to fully appreciate the true size and beauty of Manhattan and the surrounding boroughs is to explore them by water! This is not a regular New York City jet ski rental, we exclusively offer guided jet ski tours with expert tour guides. 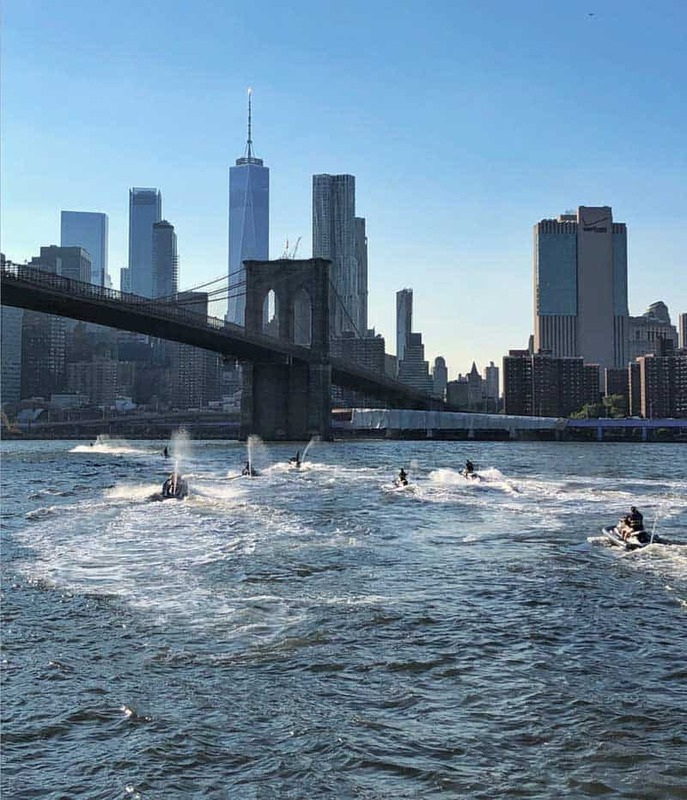 Our guided jet ski NYC tours will get you right up to Ellis Island, The Statue of Liberty, Brooklyn Bridge, Governors Island, Wall Street, One World Trade Center / Freedom Tower, Brooklyn Bridge Park and so much more. This tour is enjoyable for experienced jet skiers as well as first time riders. There will be plenty of time for us to stop often for pictures and questions. If you are looking for a Manhattan Jet Ski Tours & Rentals, then Sea the City is the place. Our company offers Jet Ski NYC Tours from its convenient Jersey City location, which is a 10 minute ferry boat ride from the World Financial Center. You WILL get wet! 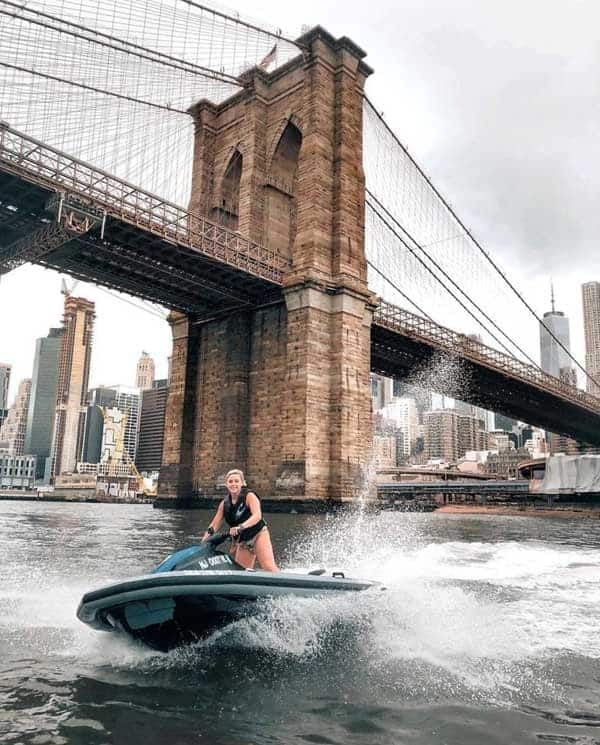 You’ll ride your own jet ski on a New York City water tour, stopping at each sight for pictures while your guide gives you interesting facts and answers any questions you may have. No other operator can give you a Statue of Liberty Jet Ski Tour and Ellis Island Jet Ski Tour together in an hour-long outing. Book now for the ultimate adventure on our Manhattan jet ski tours. Longer tours featuring the Hudson River, Brooklyn Bridge and United Nations give you an opportunity to see even more famous sites and greater appreciate the true size of New York City. No problem, you don’t need to have taken jet ski lessons before you come on our jet ski adventure tour. Our licensed instructors give a short safety lesson briefing before we depart and are always close by while out on the water. Want to get some idea of what you’re in for? Read our blog for first-time riders by clicking below.